At a Thanksgiving potluck event earlier this week, I was given the task of providing appetizers. I wanted to bring something that reflects my culinary focus (Jewish food) while also bringing in the color and flavor of the autumn harvest season. I decided to make my Yukon Gold Latkes— these salty, crispy little bites of deliciousness are always a hit. Normally I would serve them with applesauce, but I thought it might be fun to create an autumn-inspired fruit puree instead. 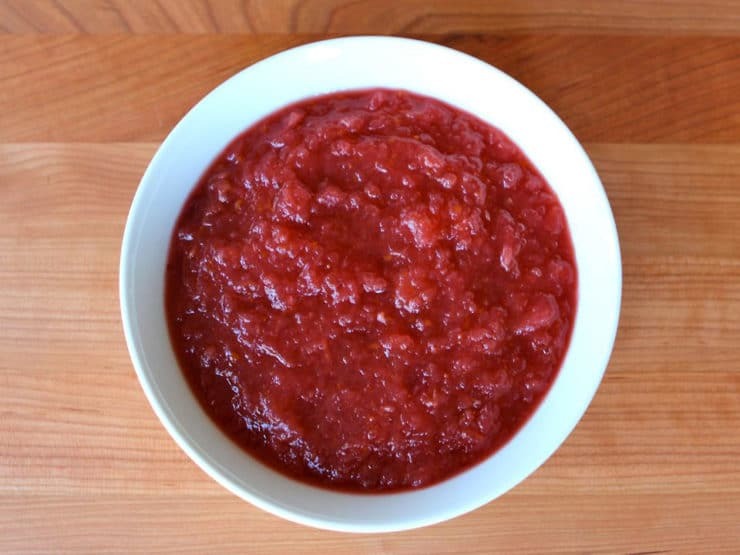 This Harvest Fruit Puree is what I came up with, and wow is it ever tasty! It’s a simple mixture of fresh ingredients; I kept the flavors clean and bright (no spices) to pair with the salty flavor of the latkes. A bit of salt in the mix really plays well with the ripe, sweet fruit. This puree would work with any kind of a savory dish– as an accompaniment to meat, to sweeten cottage cheese, or on its own as a simple, tasty snack! The pears add an unexpected burst of flavor. It’s got just enough cranberries to add color, flavor and tartness without being overwhelming. For those who don’t really love the Thanksgiving custom of serving cranberry sauce, this would be a fun alternative; it’s an excellent compliment to roast turkey. It also happens to be really, really easy to make! Just make sure your fruit is ripe and sweet, so you don’t have to add too much sugar to sweeten. The lovely rose color deepens with time, a beautiful addition to a buffet. I like the simple flavor of this sauce, but if you’re craving a touch of holiday spice, 1 tsp of cinnamon and 1/2 tsp of allspice in the mix would be a nice touch. Enjoy! Delightful fruit puree blend of apples, pears, and cranberries. 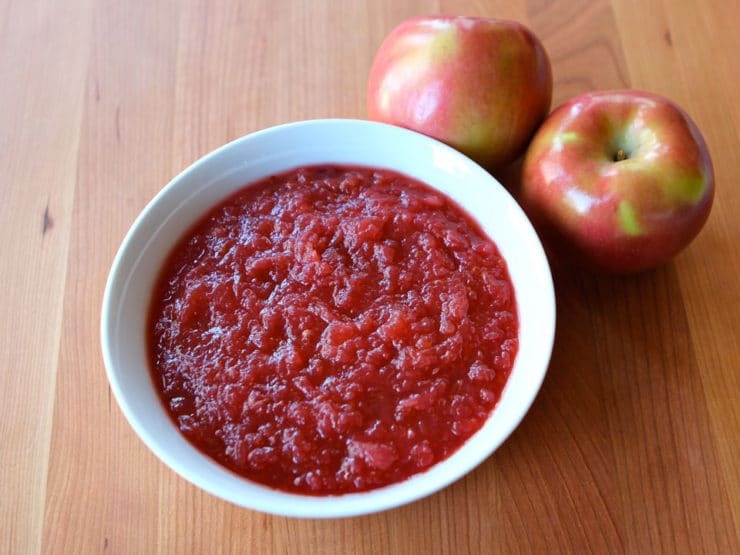 A tasty and colorful alternative to applesauce; pairs well with savory dishes. 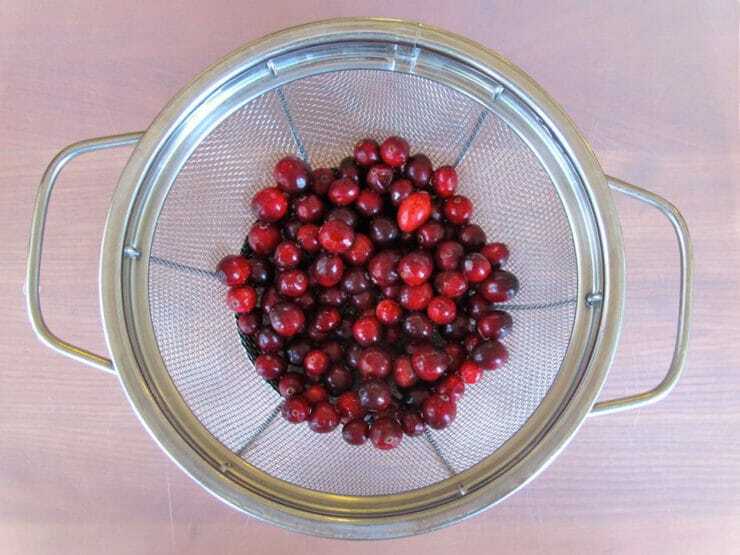 Rinse and sort the cranberries, discarding any that are overly ripe or soft. Place them in a medium pot. Peel and core the apples and pears, then dice them into ½ inch pieces. Add them to the pot. 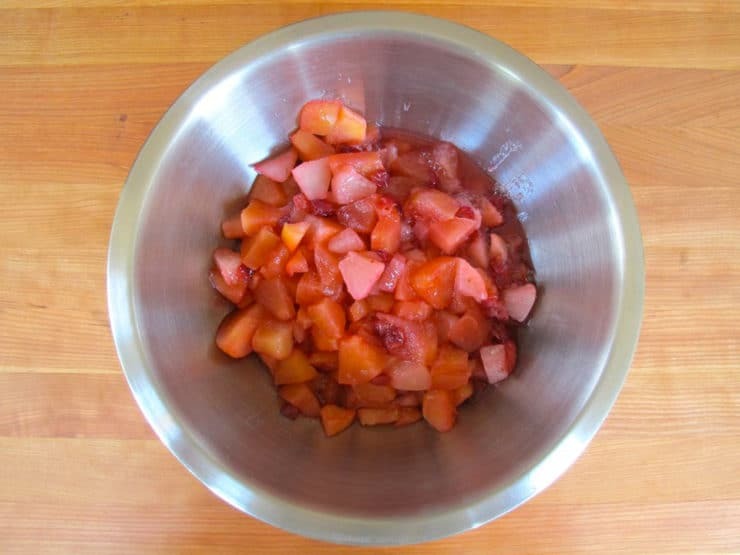 Cover the fruit with apple juice and sprinkle with salt and sugar. Bring to a boil over medium high heat. Stir. Reduce heat to a slow simmer. Cover the pot. Keep a close eye on the mixture to make sure it doesn’t boil over or burn; adjust heat as needed. 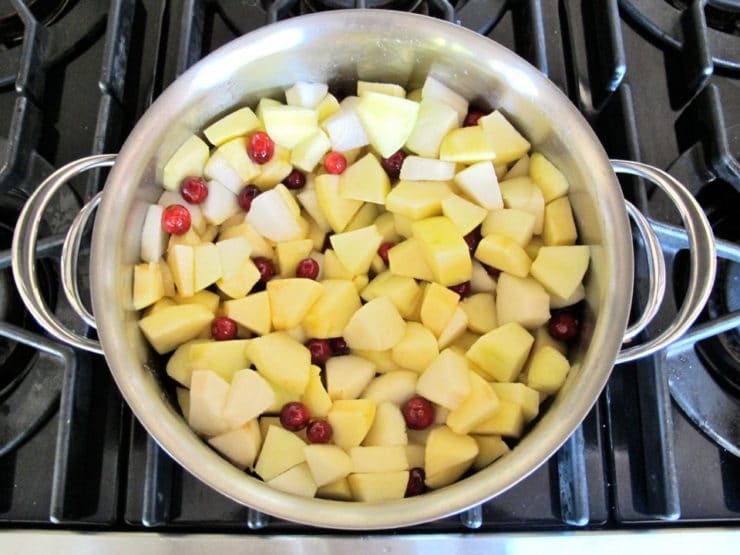 Cook for 20-30 minutes till cranberries have popped and apples and pears are soft enough to easily mash. 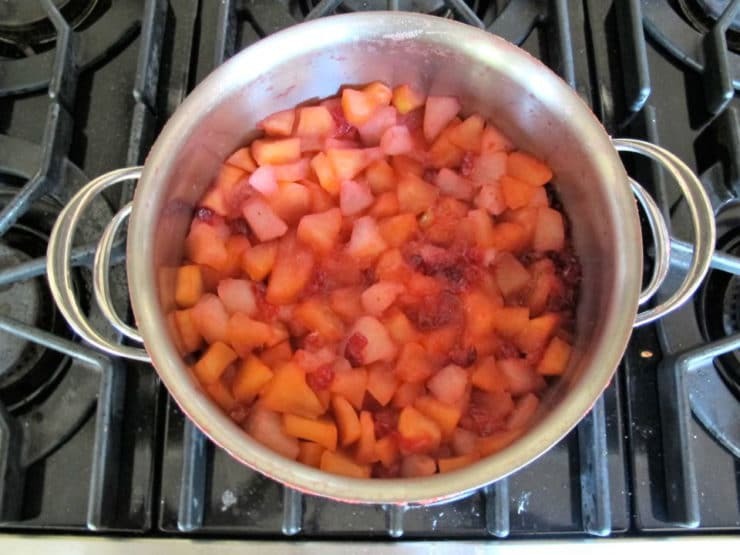 Remove the pot lid and carefully pour the mixture into a large bowl. 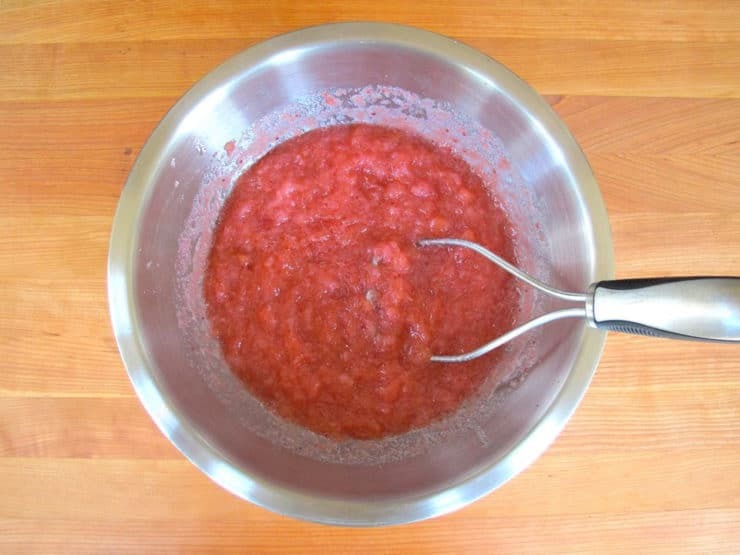 Use a potato masher or immersion blender to mash the sauce to desired consistency. I like an applesauce consistency, with some small chunks left in for a more rustic texture. Taste the puree; add more sugar to taste, if desired. Allow to cool to room temperature. Place puree in the refrigerator to chill. Serve as an accompaniment to savory and salty dishes like potato latkes and roast meat. I like the mixture cold; it can be served at room temperature if you prefer. Me figure out how to make purée for fruit leather. I really just took the salt suggestion. And didn’t use the juice. It’s beautiful and delicious as a roll-up! I did not have everything on hand, so I used what I had. A bag of cranberries, three apples, five peaches and a container of strawberries. Oh and pineapple juice. I used more sugar than the recipe states, because I like things sweet. I used an immersion blender and then put it through a sieve and got it to a lucious velvety texture. Its delicious! I am eating it by itself or with greek yogurt. So much better than the slimy fruit that comes with yogurt. Thanks for this gem! what a gorgeous blog and delicious recipes! Keep up the great work! Oh my goodness, I just want to dive right in the bowl. That’s acceptable right?! Oh, excellent! I actually came to your blog for a challah recipe, but bumped into this puree, and, oddly enough, I do have all the ingredients on hand! 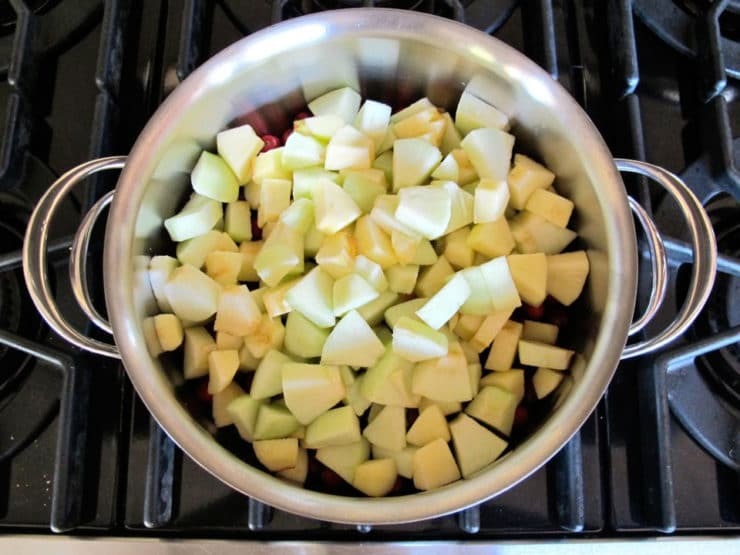 I recently learnt how to make apple sauce, and this would be an even more interesting and delicious variation. Thanks a lot! Off to the kitchen right now! I love this! What a great thing to whip up in place of applesauce. Very seasonal and full of fabulous flavors. 🙂 Love the color too. Um … this look delicious I could eat with a spoon! Forget spreading it on something! 🙂 Thanks for sharing! Tori – what a GREAT idea! I love the salty/sweet flavor combination of this and the latkes – and it’s so beautifully colorful!